Nvidia Shield and Kodi go together like peanut butter and jelly. The Android-powered streaming and gaming console is perfect for streaming TV shows, movies, and music from the world’s most popular open source home theater app. 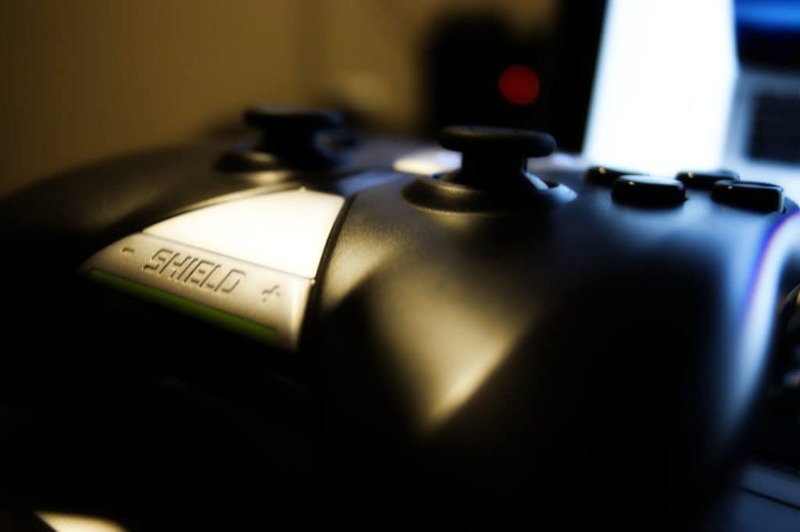 Nvidia Shield is compatible with pretty much every popular Kodi add-on out there, and its hardware is powerful enough to play content in high definition or even 4K without breaking a sweat. And now that Kodi is listed on Google Play as an Android TV app, it’s easier to install than ever. For most users, there’s no need to sideload or download Kodi from any third-party sources. In this article, we’ll show you how to get Kodi on your Nvidia Shield using two methods: Google Play and sideloading. Many Kodi users use Virtual Private Networks (VPNs) to hide more illicit streaming activities. But even those who use legitimate, legal addons can benefit from a VPN. If you haven’t already, learn how to install a VPN on Kodi in this tutorial. Some ISPs throttle bandwidth based on the content you access. If it sees you’re trying to stream a video, it might slow down your internet speed, resulting in lower quality and more frequent buffering. A VPN hides traffic from your ISP so it can’t discriminate based on the type of data being downloaded. VPNs help protect your connection from “Man in the Middle” attacks. These attacks occur when a hacker intercepts traffic between you and the server. They can include your usernames, passwords, or other valuable information. They can also modify the contents of data you download, potentially infecting your Nvidia Shield with malware. When connected to a VPN, your traffic is encrypted before being sent and received, so even if a third party intercepts it they cannot decipher or modify it. While VPNs do a great job of protecting your privacy, connecting to an intermediary server can significantly slow down your connection. If you want to stream Kodi content through a VPN, you’re going to need a fast and consistent provider. Additionally, some VPNs keep log files, completely discounting your safety. IPVanish keeps no logs of your online activities. We recommend using IPVanish as it is fast, reliable, and secure enough to safely stream from Kodi add-ons with minimal buffering and high quality video. READER DEAL: Comparitech readers can save up to 60% on IPVanish plans. If you’ve ever used Google Play on an Android device before, the process should be familiar. This will install the latest ARM version of stock Kodi for Android available. If Google Play is blocked for some reason, you can usually unblock it by using a VPN. 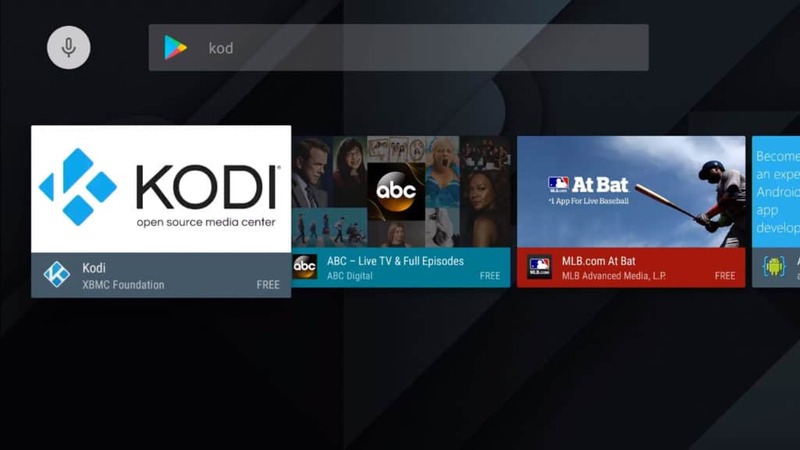 On the app page, click Install to download and install Kodi on your Nvidia Shield. Accept the permissions when prompted. Launch the app by clicking the Open button once the installation is finished. You can also find it on your Nvidia Shield home screen. Continue through the preliminary setup, and start using Kodi! That’s it! Make sure your VPN is enabled before installing and using any add-ons. Kodi should automatically update through the Play Store. If you prefer to use an older version of Kodi than what’s available on Google Play or you want to install a specific Kodi build, you will need to sideload the app. This isn’t hard; it just requires a few extra steps. Note that sideloaded apps will not automatically update, so you’ll need to repeat the process if you want to take advantage of updates. If Kodi is already installed but you want to try a third-party build, be sure to uninstall any existing Kodi app beforehand. 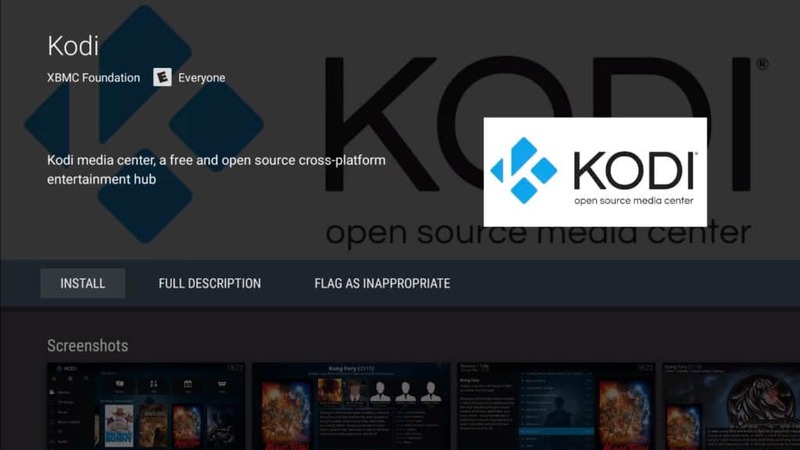 Locate and download the APK file for the version of Kodi you wish to install. 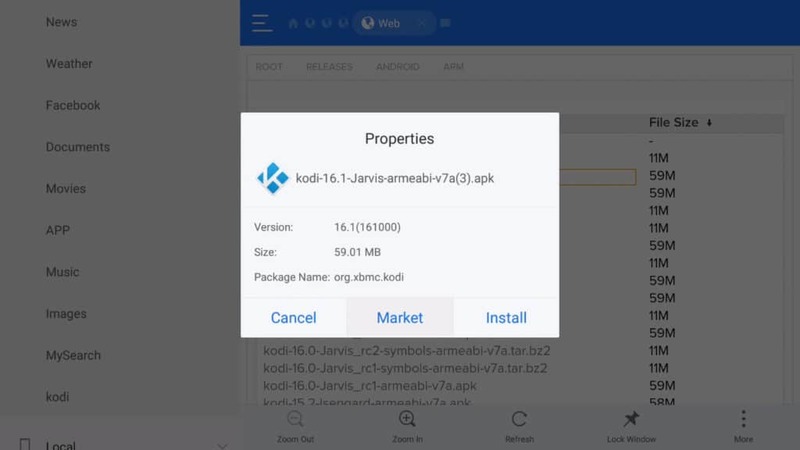 An APK file is a package that contains everything you need to install an Android app. The only guaranteed safe place to download Kodi APKs is the official Kodi website, but older versions and third-party builds will obviously come from elsewhere. Once finished downloading, move the APK file onto a USB drive. APK files are usually small so just a simple thumb drive should do fine. Safely eject the drive when finished. Turn on your Nvidia Shield and open the Settings menu at the bottom. Then go to Security and Restrictions. Toggle on Unknown sources. 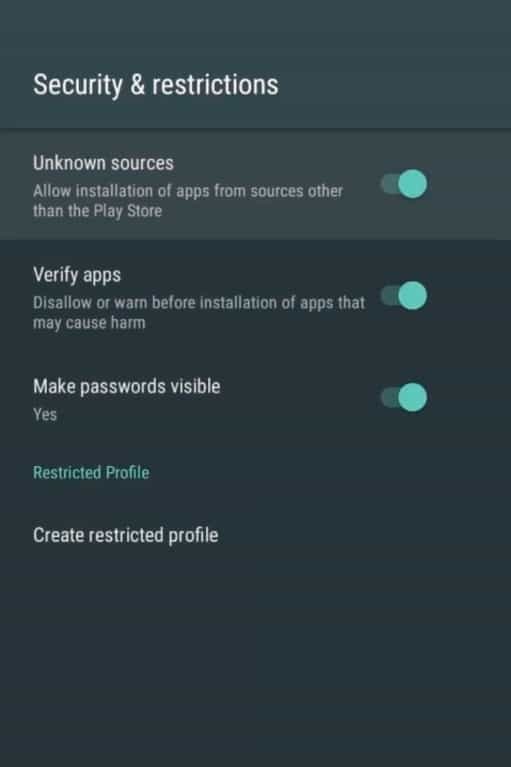 This allows apps from outside Google Play to be installed. Press OK when the warning appears. Go back to the home screen and open the Google Play Store. 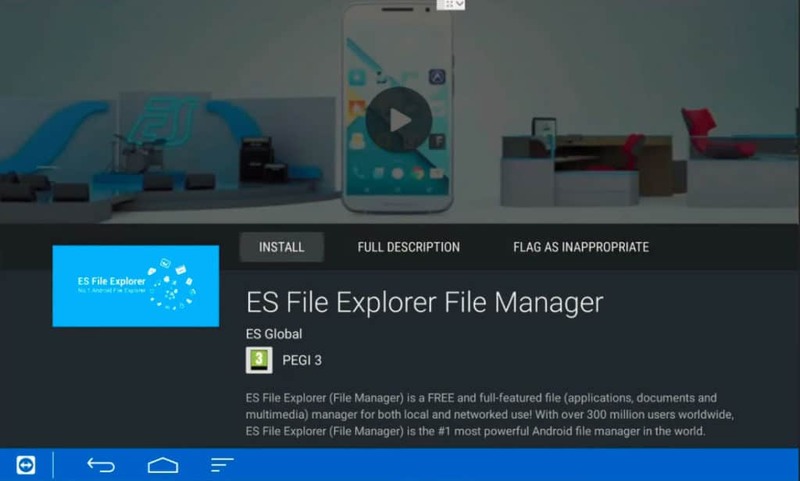 Run a search for ES File Explorer File Manager and select the app of the same name. It should be the first result. Click Install to download and install ES File Explorer. Accept the terms and permissions. Once ES File Explorer is installed, plug the USB drive with the APK file on it into your Nvidia Shield’s USB slot. A pop-up should appear asking if you’d like to open the USB drive using ES File Explorer. Click OK.
ES File Explorer will launch. In the left sidebar, click Local, then scroll down to select your USB drive from the drop down list. Navigate to where you saved the Kodi APK file on your jump drive and select it. Click Install, then Install again to accept the permissions. When the installation finishes, select Open to launch Kodi. The app should now be accessible from the home page, too. Once Kodi is installed and running, you can safely remove the USB drive. You can also download the APK file directly onto your Nvidia Shield using the web browser that comes built into ES File Explorer. We found navigating web pages and typing is a pain with the default Nvidia Shield controller, but if you don’t have a USB drive or laptop handy, this works as well. It’s possible to find both Kodi and ES File Explorer on third-party app stores, but we recommend against it. Third-party app stores often do not have a strict or formal vetting process. That means the APKs you download could be out of date or modified to contain malware. 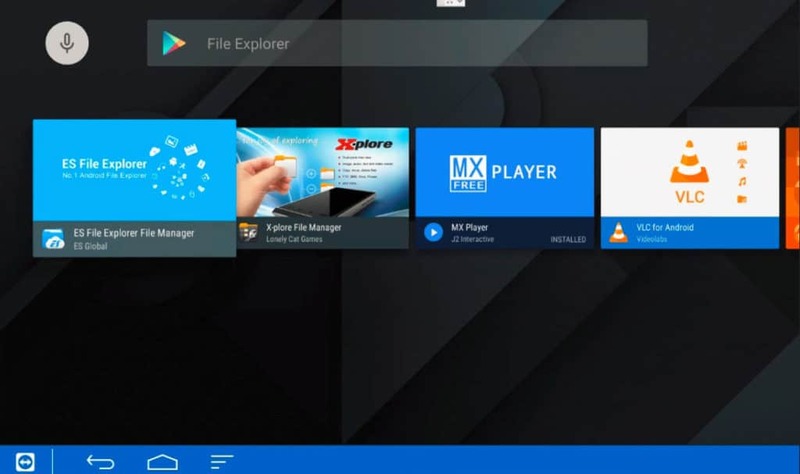 If you absolutely cannot access Google Play or you plan to use a third-party Kodi build, please exercise extreme caution to avoid damaging your device or having your private information stolen.